Health benefits of avocado! This pear-shaped fruit has a green skin, rough texture and a hard seed inside. It's known as the "alligator pear". Although there are over eighty varieties, the Hass variety is the most well-known. According to the USDA nutritional database, one medium size raw avocado is approx. 240 calories. Avocados can be eaten or used topically. They contain healthy fats and phytonutrients. They have vitamins A, B, C, D, E and K. They're a good source of fiber, potassium, folate and beta-carotene. They're healthy for the body, inside and out! Ripe avocado is slightly soft with no dark spots, bruises or cracks. Firm ones are less mature but can ripen at home, at room temperature, within a few days. Store leftovers in refrigerator up to one week. Sprinkle lemon juice over avocado to avoid pre-mature browning. CAUTION! Those allergic to avocados should avoid them completely. Allergic reactions can include: itching, nausea, vomiting, abdominal pain, diarrhea, hives, difficulty swallowing and breathing. There's a variety of medicines to combat avocado allergies. Contact your health care provider, if needed. Avocados have a high content of hydrocarbons, which alleviates dryness and soothes skin. Dry itchy skin, dry flaky skin, psoriasis, eczema, dermatitis, irritated and inflamed skin all benefit from avocados! They soften, cleanse, moisturize and exfoliate! They're rich in linoleic acid with skin cell renewal properties. Avocado oil penetrates deep within the skin and increases collagen production. It's very beneficial for those with pre-mature fine lines or wrinkles. Studies show that avocado helps prevent the occurrence of skin cancer. The pulp and oil are skin healthy. Avocado oil is used for making soap, lotion, cream, shampoo, etc…. It mildly cleanses, conditions with a creamy stable lather and very small bubbles. For fluffy lather and big bubbles a lathering soap making oil, like coconut or palm kernel, should be added to your soap recipe. Avocado oil has a high percentage of unsaponifiables. Natural avocado components remain intact throughout homemade soap. This allows the full health benefits of avocado to permeate throughout the soap. Blends well with essential oils: Sweet Orange, Lemongrass, Geranium, Patchouli or Lemon. Combine it with Shea Butter for a super rich dry skin formula! HOMEMADE FACE MASK #1: Mash 1 avocado and blend well with oatmeal. Apply to face & let stand for ten minutes. Avoid eyes, ears or other sensitive areas. Rinse face thoroughly with lukewarm water. Pat gently & towel dry. This avocado recipe will draw out impurities, soften and moisturize skin. Great for all skin types. HOMEMADE FACE MASK #2: Mash and mix together 1 ripe organic avocado, 1 organic banana and 1 teaspoon of organic honey. Mix until a smooth texture. Apply to face, evenly, avoiding eyes, ears or other sensitive areas. Let stand for approx. 5 minutes. Rinse face with warm water. Gently towel dry. This avocado recipe alleviates dry flaky skin. TIP 2: Rub fresh avocado pulp against skin to soften, lubricate and prevent pre-mature wrinkling. TIP 3: Rub a fresh avocado directly against the skin two to four times a week. Nourish skin. TIP 4: Eat avocados to promote younger looking, soft and supple, skin. Half an avocado has approx. 160 calories. Add to your salads or sprinkle the oil on top. Use to make guacamole! Drinking a mixture of avocado juice and honey. Discover a natural glow. 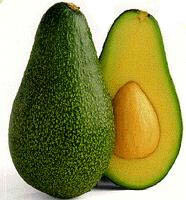 TIP 5: Rub the inside skin of a fresh avocado on rough, dry, areas: knees, elbows, heels, hands. Moisturize, exfoliate, soften dry flaky skin. CAUTION! Discontinue if any discomfort or irritation occurs. Avoid use if you have avocado allergy. Contact your health care provider, if needed. Still looking for more homemade skin care tips? Find them, now!